Not long ago, I was invited to preach at a church in a metropolitan area. I arrived on a Sunday morning to a large church facility that was showing some signs of some needed maintenance and renovation. I estimated that the auditorium would seat 700-800 people. They had an abundance of Bible study classrooms and a family life center. The carpet was a bit worn and the church did have a bit of dated look, but it was still an impressive building in the community. I had the blessing of preaching God’s Word that morning, in this massive structure, to a crowd of 26 people. The only people in the congregation under 70 were myself and a visiting family. (By the way, they informed me that they probably would not be back, as they were looking for a church with a youth program). After the worship time, the congregation invited me join them for a potluck meal. The people were friendly and very gracious to me on this Sunday, but I will never forget what one older man told me as we shared a meal. He described how they had once been a thriving, growing church with multiple services. He went on to share that they had a young pastor come to their church. He began to make some changes and, because of this, the church was growing. The older gentleman shared that some of us did not like the shifts to “our” church, and we put our foot down and stopped the changes. The pastor left, after a bit, when he got weary of the battles, and we got our desire. Now, we just wonder who will be the one of us who has to lock the door for the last time. The man wept that morning, as he told me this story. I wonder how often this is repeated in other churches. Our God is an unchanging God and we preach an unchanging Word of truth. But, change is necessary if a church or ministry is to continue to grow and be relevant in a changing world. When should the church or a ministry change? When change will move us from traditions to Biblical principles. When change will empower us to be more missional and increase our ability to reach people with the Gospel of Christ. When change will enable us to be more vibrant and active in our faith. When change will move us from the pews to engaging our world for the sake of Christ. When change will open our doors and encourage more people to connect with us. When change will enable us to move beyond the walls of our church to demonstrate the love of Christ to our community. When change will empower us to fulfill Christ’s command to fulfill the Great Commission. When needed change is revealed to us by the Spirit of God. God brings change in order to continue to draw people into a relationship with Him. Our God delights in newness; this is why the Scriptures speak of a new creation, new mercies, new self, new birth, new heart, new spirit, new wine-skins, new heaven, new earth, and a new song. 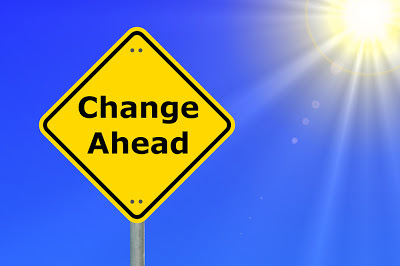 Change is necessary for any entity to continue to grow, including the church. Truth be told, it was never my church or ministry anyway. It is His church and His ministry and so it is really not about me. It is all about Him! Thank you for this outstanding blog. Is our Pastor Kyle Page on you blog? Was this blog sent to the Associations to share with their pastors and has it been shared on Facebook or may I?